The statement is attributed to Yang Liwei, deputy director of China Manned Space Agency, during his remarks to the United Nations/China Workshop on Human Space Technology in Beijing. The article does not state how much China hopes to charge for trips to its stations. Chinese space officials have publicly stated that they cannot match SpaceX launch prices, and it seems unlikely that it will be able to compete with Bigelow’s Space Station Alpha, either. Instead of innovating, China is retracing the path taken by US and Soviet space programs 40 years ago, trapping their program in a high-cost paradigm. The Chinese space station will not be ready until 2023, according to another article. It’s reported that the station interior will be “no less than 60 square meters.” Presumably, the author meant 60 cubic meters, which is the way space stations are usually measured. That would be smaller than the old Russian Salyuts, which had internal volumes of 90-100 cubic meters. It would be dwarfed by ISS, which has an internal volume of 837 cubic meters, or a single Bigelow BA-330 module, with an internal volume of 330 meters. In a clever reuse of existing hardware, NASA will install a microwave scatterometer aboard the International Space Station. The new instrument, which NASA has dubbed RapidScat, uses test hardware originally built for the QuikSAT satellite program. Scatterometers are instruments for remotely measuring the ocean surface wind speed and direction. The ISS-RapidSCAT instrument will help improve weather forecasts, including hurricane monitoring, and understandings of how ocean-atmosphere interactions affect climate. Bigelow Aerospace has posted pricing information for its Alpha Station, which Bigelow expects to be ready for launch by late 2016. Bigelow Aerospace will offer visits to Alpha for $26.25 million, with transport on a SpaceX Dragon capsule, or $36.75 million, with transport on the Boeing CST-100 capsule. The price includes a 10-60 day stay aboard the space station. These prices compare favorably to the $40 million which the Russian Space Agency is currently asking for a one-week stay aboard the International Space Station. The price includes astronaut training and qualification. For customers that want exclusive and control over on-orbit facilities, Bigelow is offering lease blocks. One-third of a BA-330 module (110 cubic meters, roughly equal to an entire ISS module) will cost $25 million for 60 days. With transportation for one astronaut via the SpaceX Dragon, exclusive use over 110 cubic meters of volume for 60 days would cost $51.25 million. Bigelow will allow customers to sublease space aboard a lease block and resell purchased seats. Bigelow is also offering name sponsorships. Naming rights are available for the entire station at $25 million per year or an individual module at $12.5 million per year. These are similar to prices sponsors have paid recently for naming rights to major sports stadiums. 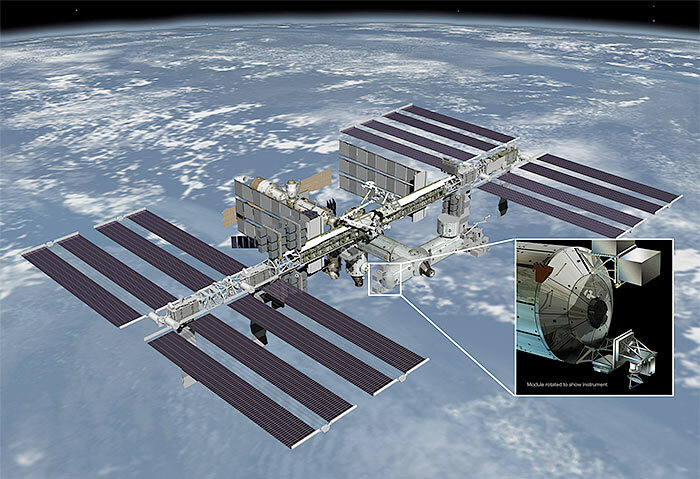 New details about the $17.8-million Bigelow Expandable Activity Module for ISS were revealed today. 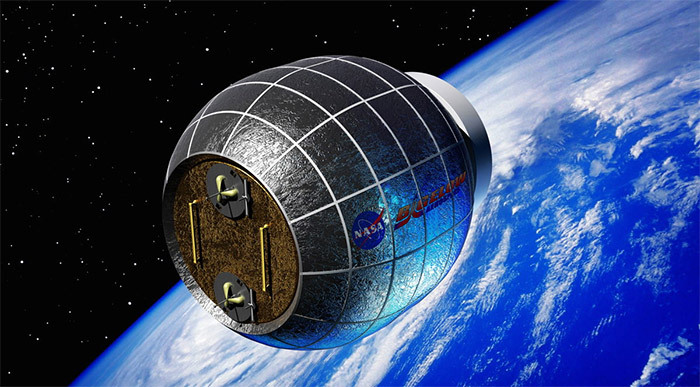 According to Irene Klotz at Reuters, the inflatable module will weigh 3,000 pounds. It will measure 13 feet long and 10.5 feet in diameter. This is about the same size as the free-flying Genesis I and II modules, which Bigelow already has in orbit, but a slightly different shape. NASA has not yet formed definite plans for how astronauts will use the new module, which will be delivered in mid-2015 by a SpaceX Falcon 9 rocket. Bigelow is interested in using the module to study how the presence of crew affects an inflatable module. The module will be installed on the International Space Station’s Node 3. NASA has already purchased the Falcon flight for the module, according to Leonard David at Space.com. Clark Lindsey at New Space Watch reports that the module will be delivered on the eighth flight of the SpaceX Dragon capsule using the capsule’s unpressurized cargo section. In another interesting development, Bigelow has named the seven sovereign customers who’ve expressed interest in leasing space aboard a future Bigelow commercial space station. Bigelow has preliminary agreements with the United Kingdom, the Netherlands, Australia, Singapore, Japan, Sweden and the United Arab Emirate of Dubai, according to Reuters. According to another report by Leonard David, Bigelow expects to have two BA 330 modules ready for construction of Space Station Alpha by late 2016. The Bigelow 330 is a much larger module, weighing 43,000 pounds with a diameter of 22 feet and length of 31 feet. 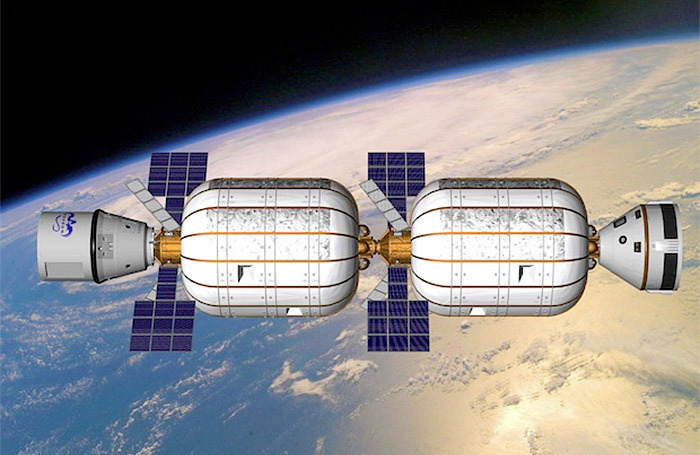 Bigelow Aerospace previously announced that it plans to charge sovereign customers $23 million for a 30-day stay aboard a Bigelow space station. That price includes space transportation, astronaut training, and consumables. Boeing hopes to supply transportation to the station using its CST-100 capsule, as shown in the following video. An article by Dr. Morris Jones takes issue with China referring to Tiangong 1 as a laboratory, rather than a space station. This does inspire us to wonder, though, why does China eschew the use of the term “space station”? Since the Chinese space program seems to be motivated primarily by prestige, we would logically expect Tiangong 1 to be described in the most grandiose and prestigious terms possible. Has the political fiasco of the International Space Station program soured the term? Will space-station developers have to use euphemisms like “laboratory” in the future? Perhaps we’re reading too much into this. Or perhaps not. You are currently browsing the archives for the Space Stations category.